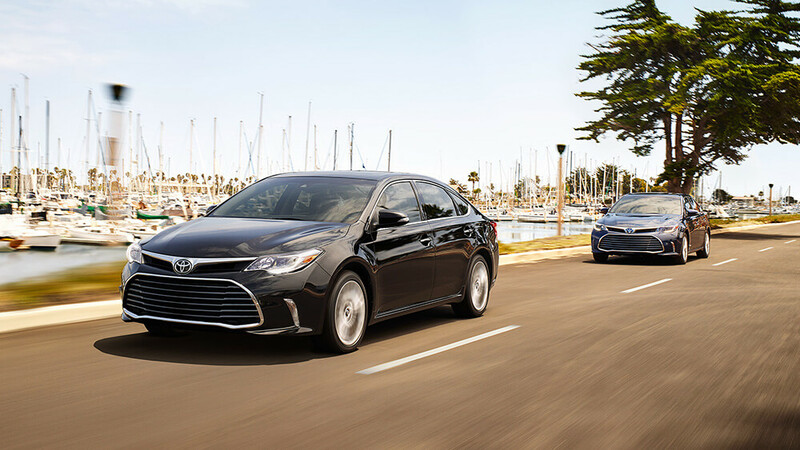 The Toyota Avalon line has long been associated with superior craftsmanship, a commanding ride, and cutting-edge features; now the 2017 Avalon Hybrid has added advanced efficiency to the list. 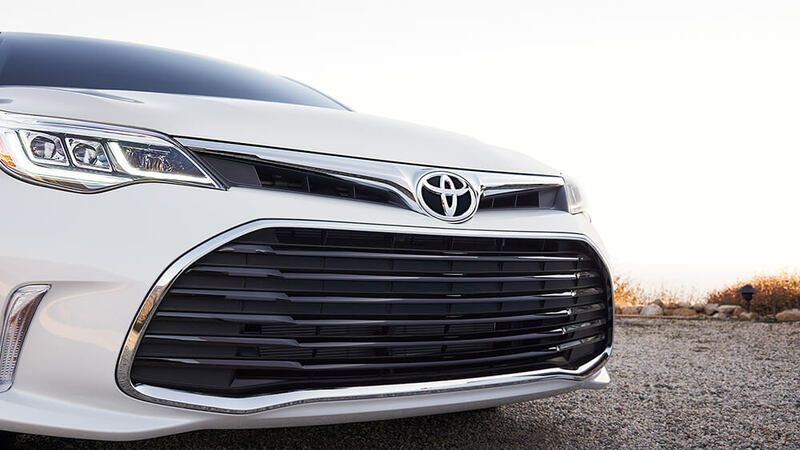 Toyota worked miracles in order to bring hybrid technology to the Avalon without sacrificing any of its traditional advantages, and the result is something quite extraordinary. 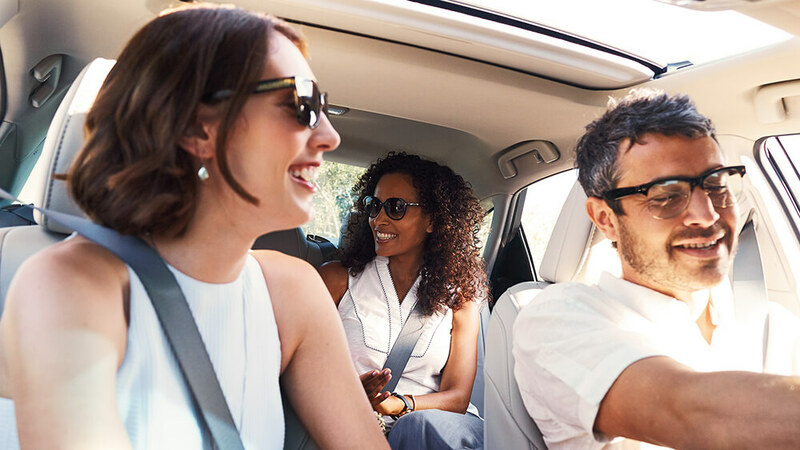 Hybrid XLE Plus: Starting at $37,250*, the XLE Plus is stunningly equipped for an entry-level model, with integrated backup camera, Smart Key System with Push Button Start, leather-trimmed multi-stage heated front seats, and Connected Navigation coming as standard. Hybrid XLE Premium: Starting at $38,700*, the Premium is all about top-end technology, with Qi wireless smartphone charging, driver’s seat and outside mirrors memory systems, and a Blind Spot Monitor (BSM) with Rear Cross-Traffic Alert (RCTA). Hybrid Limited: Starting at $42,550*, the Hybrid Limited indulges drivers and passengers alike with perforated leather-trimmed seats. Further features include Entune Premium JBL Audio, HID Quadrabeam headlights, and heated front and rear seats. The 2017 Avalon Hybrid embraces Toyota’s celebrated Hybrid Synergy System, which allows you to cycle between three separate drive modes: Sport, EV, and ECO. 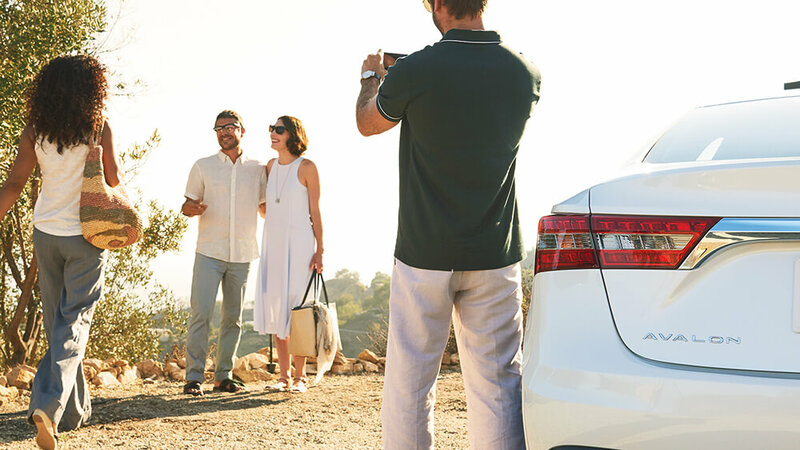 Your drive can be optimized around your current wants and needs, directing 200-hp to the rear wheels to propel the Avalon with grace and deliver pinpoint handling. The hybrid system combines a state of the art battery pack and electric motor to a 2.5L four-cylinder engine in order to create such an output. Power is refined through an intelligent Electronically controlled Continuously Variable Transmission (ECVT) system, ensuring up to a staggering 40 mpg in the city and 39 mpg on the highway**. Heated Front and Rear Seats: If the weather ever gets chilly, you can keep all passengers nice and warm. Three-Zone Automatic Climate Control: Individual climate controls are provided for the driver, front-passenger, and rear passengers. 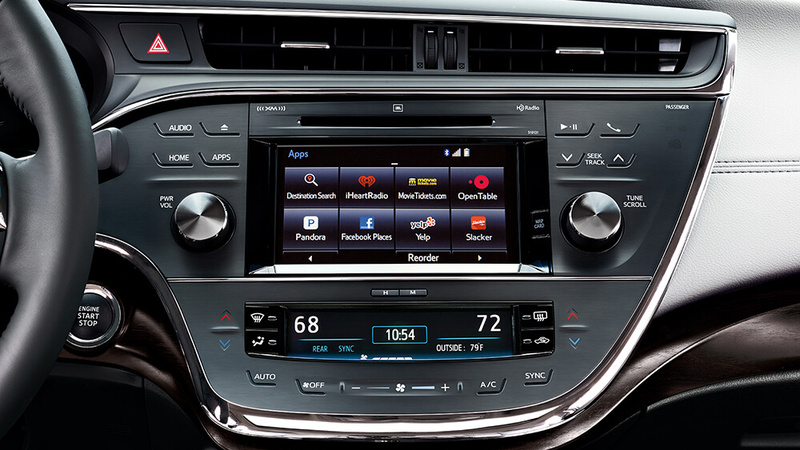 Ambient Lighting: Soft LED illumination accents the craftsmanship of the Avalon Hybrid’s interior. 10-Way Power-Adjustable Driver’s Seat: Your driver’s seat can be moved along 10 separate planes of motion at the touch of a button to deliver flawless support. Qi-Compatible Wireless Smartphone Charging: Finding yourself without enough battery on your smartphone can be a real pain, but you can simply have the device charge as you drive by placing it on the non-slip Qi platform. Memory Settings: When you have your driver’s seat and mirrors positioned absolutely perfectly, store the personalized setting so you can revert to it instantly after someone else has driven the car. App Suite: Find vintage stores in Culver City or book a Chinese restaurant in Santa Ana through the App Suite feature. Available apps include MovieTickets.com, Facebook Places, Yelp, Pandora, Slacker Radio, and OpenTable. It’s hard to truly appreciate the keen combination of smooth, powerful drive with fuel-sipping efficiency without experiencing the 2017 Avalon Hybrid for yourself. If you’d like to arrange a test drive, just come down to Marina Del Rey Toyota today. **MSRP excludes the Delivery, Processing and Handling Fee of $865 for Cars, $940 for Small/Medium Trucks (Sienna, RAV4 Hybrid, Highlander Gas, Highlander Hybrid, 4Runner and Tacoma), $1,095 for Large SUVs (Sequoia, Land Cruiser), and $1,195 for Large Truck (Tundra). (Historically, vehicle manufacturers and distributors have charged a separate fee for processing, handling, and delivering vehicles to dealerships. Toyota’s charge for these services is called the “Delivery, Processing and Handling Fee” and is based on the value of processing, handling and delivery services Toyota provides as well as Toyota’s overall pricing structure. Toyota may make a profit on the Delivery, Processing and Handling Fee.) Excludes taxes, license, title and available or regionally required equipment. Actual dealer price will vary. *2017 EPA-estimated mileage. Actual mileage will vary.